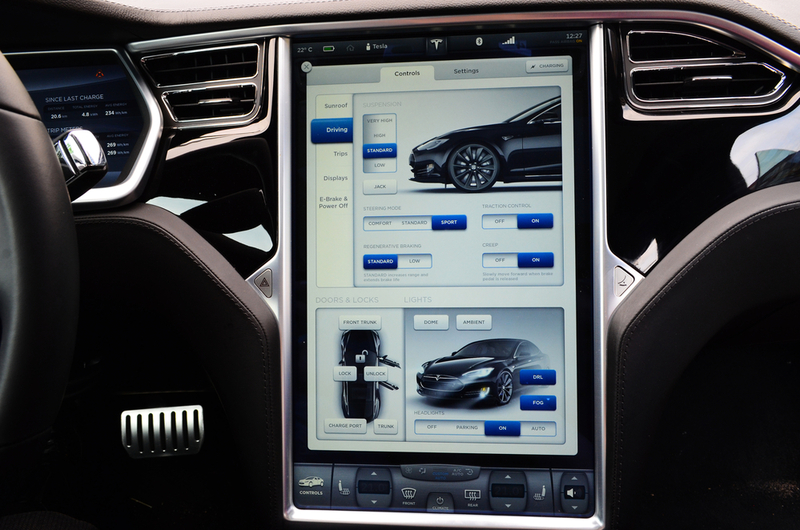 Teslas with second generation hardware, that is, vehicles that have Autopilot features, have finally received the next wave of Autopilot updates. That’s right, Tesla “enhanced.” As you can probably tell from the title, the update primarily deals with upgrading the autonomy of the car. According to Tesla, the hardware in these second generation vehicles will be upgradable to enable full self-driving capabilities. When terms like “hardware updates” are used in articles like this, the terminology can be a bit vague, so let’s go over what that hardware actually is. 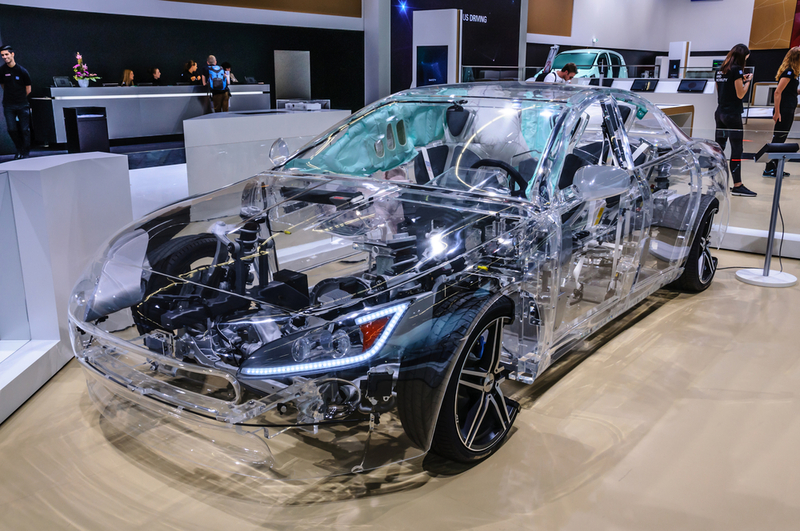 Cars will be equipped with a plethora of cameras that grant the vehicle 360 degrees of visibility with a range of up to 250 meters (820 feet – that’s almost three football fields). Twelve ultrasonic sensors act as a sort of lens on top of the vision the cameras provide, being able to detect both hard and soft objects at twice the distance of the previous system. A new radar will be placed on the front of the car letting it see through all forms of precipitation – heavy rains, fog, snow, dust, etc. With new hardware comes the need for high processing power, so to satisfy this a more powerful computer with, according to Tesla’s Press Blog, over 40 times the computing power will be added to all vehicles. All of this combined gives the car the ability to see, interpret, and react to the world in ways a human driver simply cannot. It is important to note that these features are not immediately available, and that Tesla will be rolling them out on a frequency of one update ever month to month and a half or so. 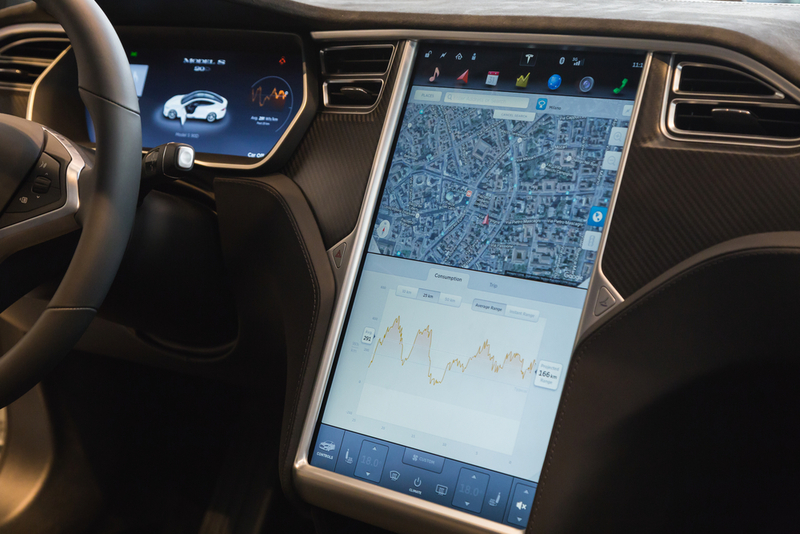 Notably, one of the added features is called Autosteer, which works with Tesla’s other feature, Traffic Aware Cruise Control, so that Tesla cars can semi-autonomously drive on highways in stop-and-go-traffic. Currently, Autosteer aims at making the daily commute a little less stressful. On a practical level it gives the driver more time to zone out before having to deal with the mounting burden of our daily workload. Autosteer will keep you in your lane though only at a max speed of 45 mph. Eventually it will be able to change lanes without driver intervention. Outside of Tesla updates, Musk was recently named to be on President Trump’s board of economic strategy. Along with Uber CEO Travis Kalanick, the “Strategic and Policy Forum” that will act as an advisory group on handling economic issues and facilitating job growth. The forum is comprised of America’s top business leaders, ranging from companies like JP Morgan Chase, Walt Disney, Boeing, IBM and a number of other playmakers. The panel’s first meeting is set for some time in February. It’s no secret that Tesla and Uber are in a race to innovate self-driving technology – after all that’s what this article is about. The closer we get to actually getting our hands on autonomous cars, the more regulation and policy will become relevant in order to effectively introduce that oh-so-vied-for self-driving technology. Uber and Tesla being on Trump’s advisory board could mean that when that technology comes around, that they’ll have the ear of the President so that they can implement the tech to the public. Of course, this could mean the end of the taxi and even the Uber drivers themselves, but isn’t that the whole point of autonomous cars in the first place? What are your thoughts on Tesla’s proposed autonomous vehicles? Would you trust an algorithm to do your driving? Let us know in the comments section below!